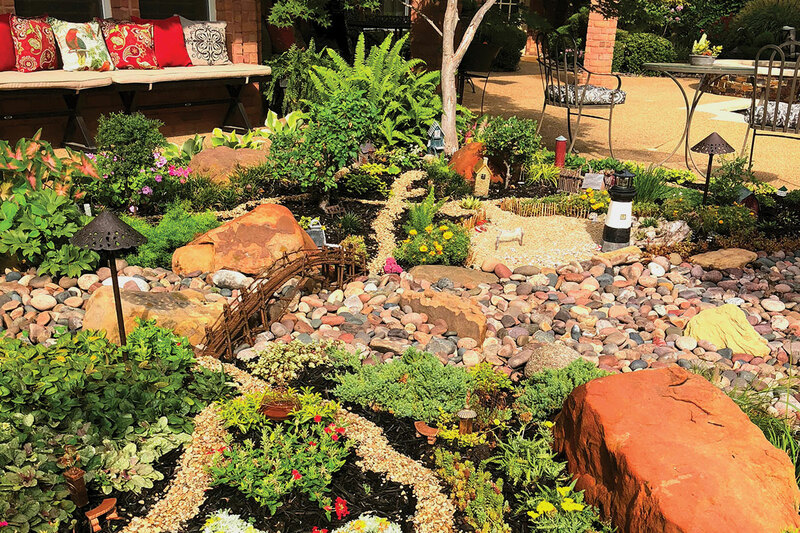 Southlake’s biennial green-thumb tour is here. Both children and gardens need tending. Grapevine physician Pat Stanton tends to both simultaneously. He teaches horticulture as a volunteer at The Novus Academy and invites students to help in his lush, expansive home garden. 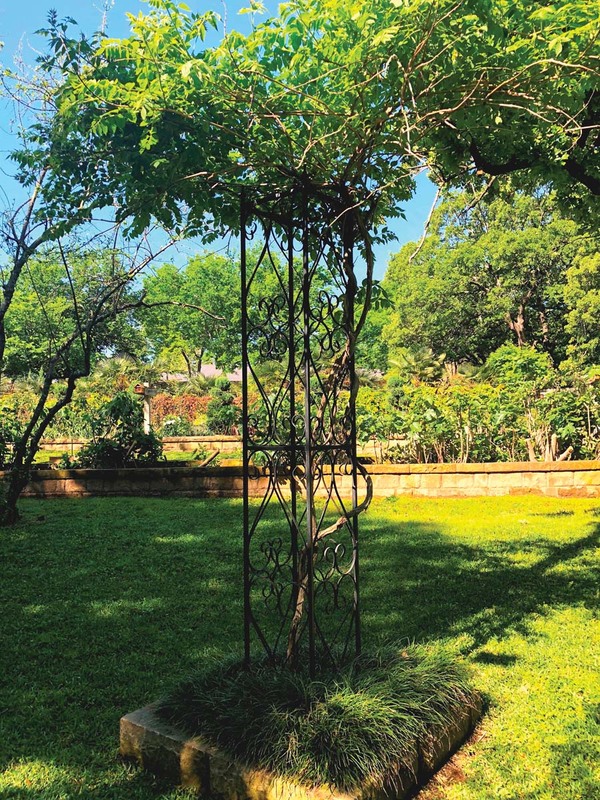 Their handiwork will be on display for all to view May 5 with Peek Behind the Garden Gate, the 2019 edition of the Perennial Garden Society’s biennial tour. Stanton’s English-inspired garden — highlighted by a koi pond, raised beds and picturesque bridges — will be one of seven on the tour. The iris, top, and lovely trellis above are stars of Dr. Pat Stanton’s garden in Grapevine. There will be lots to see and love at the other homes, too: three styles of fairy gardens, plus greenhouses, fabulous pools, sunny yards and shady patches, hardscapes and more. The garden club’s selection committee works year-round to zero in on the participants, and competition is keen. This year’s gardens were chosen for their variety and uniqueness. Native and drought-tolerant plants will be showcased, along with the club’s beloved perennials. 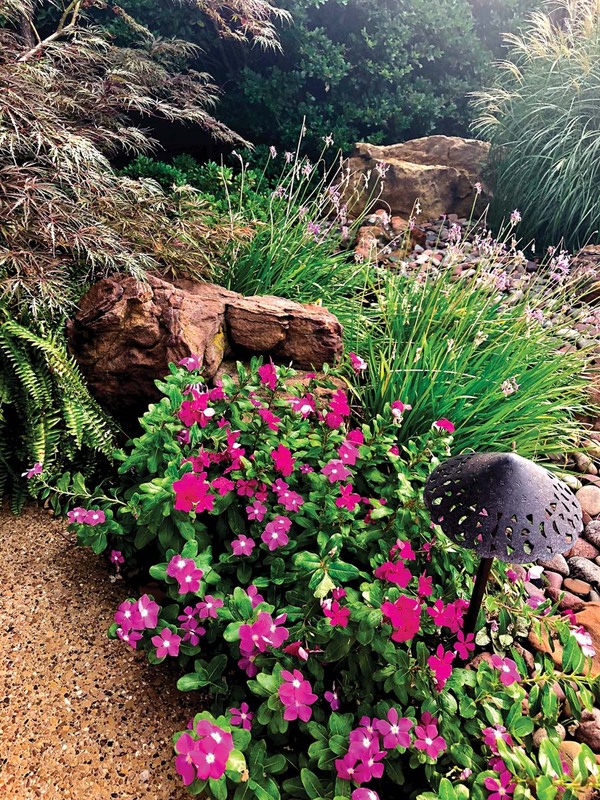 “Perennials are important because they provide consistency without replanting,” says Susan Schleppegrell, garden society president. The society promotes perennials suitable to North Texas that attract butterflies and other all-important pollinators. In Stanton’s Thursday-afternoon garden class at the academy, the curriculum covers everything from bees to cuttings. “We learn all kinds of things out of my yard,” he says. “It’s the high point of my week. The kids love the garden class because we talk about everything from the history of gardening to using mathematics in laying out a row.” As the president of Novus Academy’s board, Stanton has invited third- through fifth-graders to make gardening-education presentations to tour guests. “We provide education at every house,” says Schleppegrell. 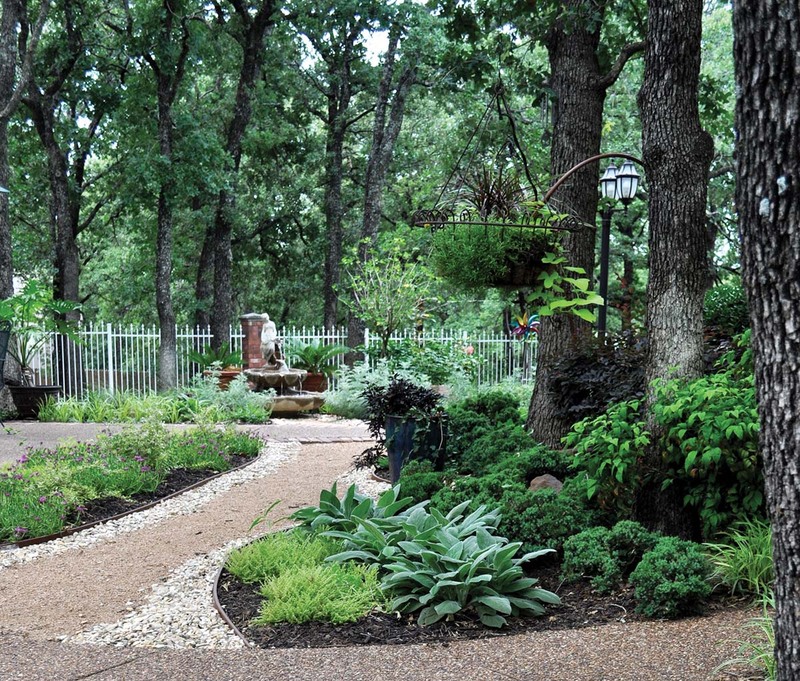 A view of Bea Wilson’s deep-green Southlake backyard. Peek Behind the Garden Gate The Perennial Garden Society’s Southlake garden tour is 10 a.m.-4 p.m. May 5. $15 in advance; $20 day of tour, on sale April 5 at garden centers and at perennialgardensociety.org.